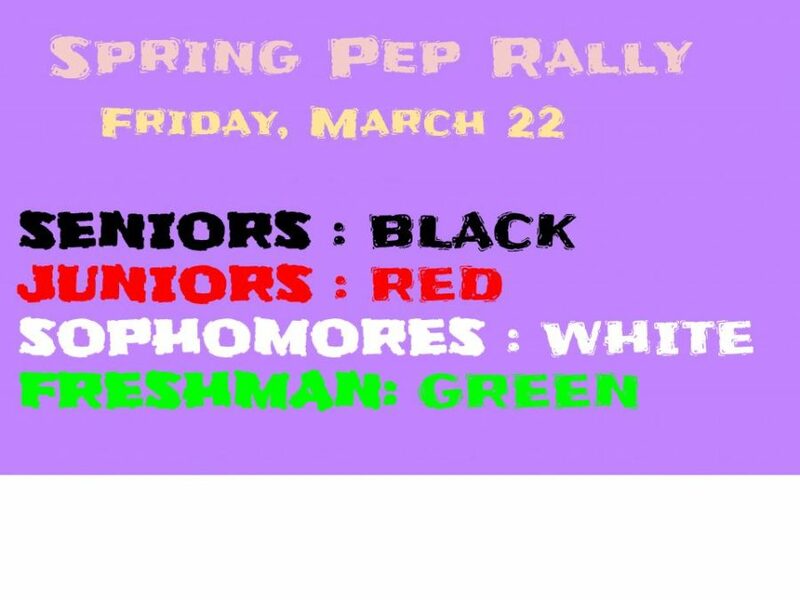 2019 Spring Pep Rally Colors: Show your spirit! 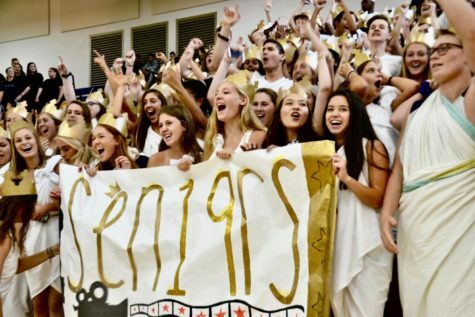 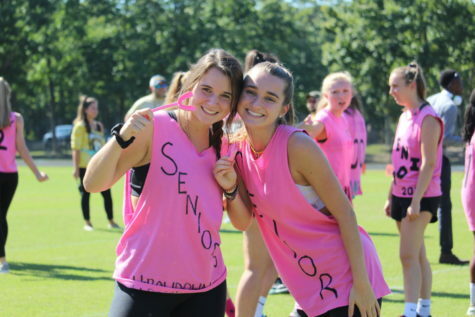 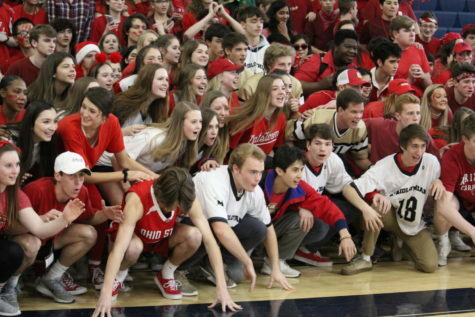 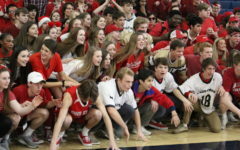 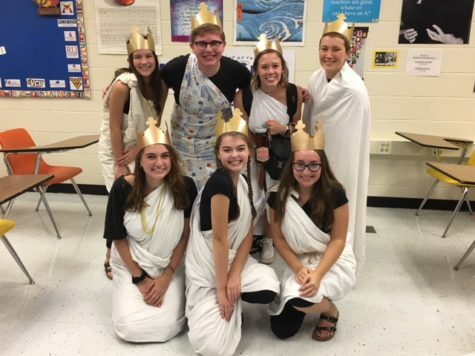 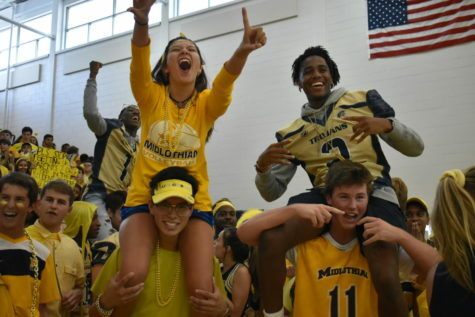 The 2019 Midlo Spring Pep Rally, which takes place on Friday, March 22, 2019, promises excitement, featuring a head-to-head class dance-off, along with other events. 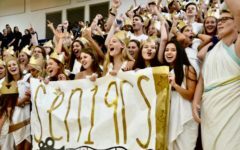 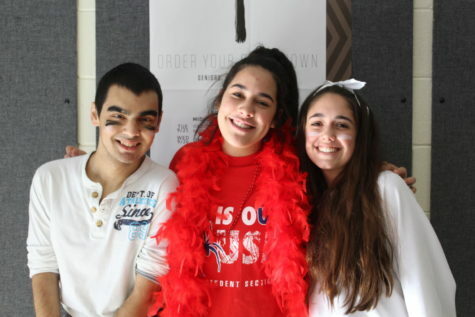 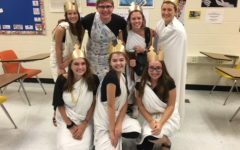 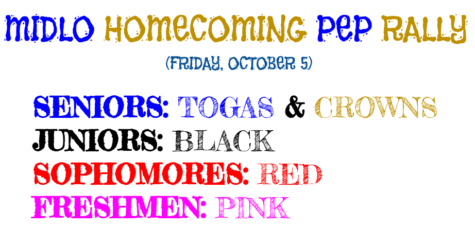 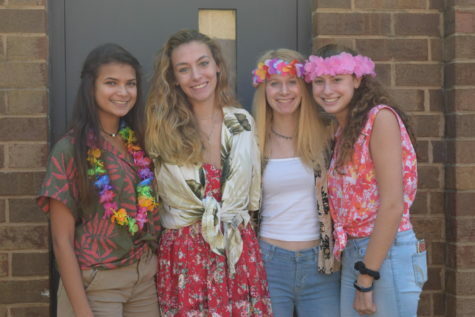 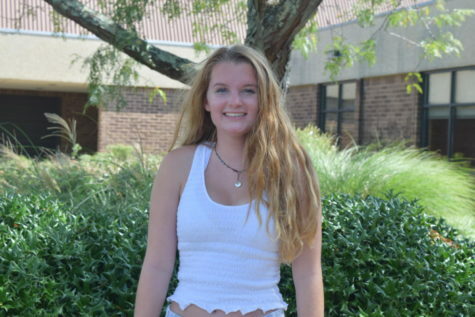 Seniors will pull out all of the black clothing they have in their messy closets; Juniors will raid Party City for anything red, ranging from lipstick to tutu skirts; Sophomores will brighten the room by dressing in all white; and freshmen plan embody the luck of the Irish with their green attire.